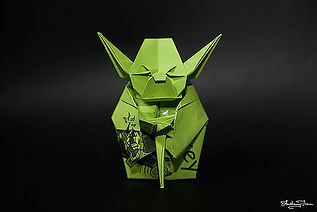 Origami – We may or may not want all our kids to be rocket scientists but it is when I come across articles like this http://2045.com/news/32974.html, it reinforces my faith that all we can do is to expose our kids to the possibilities, for sky is indeed the limit. Nurturing thinking, creativity and learning is what we can offer best as parents and teachers. So to create this idea of possibilities, to ignite the imagination, we will also include some origami model making along with the summer Robotics camp. As most of you know, my son Pranav has been an Origami enthusiast and has spent incredible amount of time learning Origami and continues to do so. As I venture on this new journey, I look forward to your wishes, continued support and request you to pass this on to your friends and others.. As always, please do not hesitate to write, text or call me at 513.295.1599 if you have any questions.